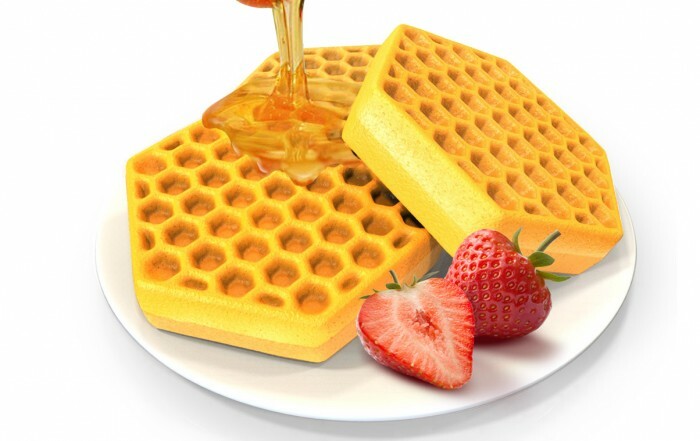 Honeycomb shaped waffles are waffles with a honeycomb pattern. The imitation of a natural honeycomb creates a connection with something natural and organic. It is a design that evokes a positive association for the consumer and encourages them to buy the more natural product. 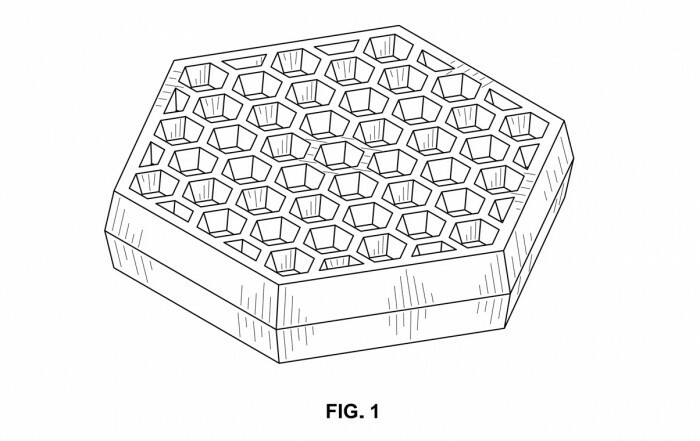 The Honeycomb Waffles Silicone Pan is unique because of its waffles shape and pattern. Thus, they would stand out from similar products on the market and catch the eye of consumers. Page created at 2019-04-26 17:48:41, Patent Auction Time.